Victor Frankenstein, an aspiring scientist born into a wealthy family, discovers a secret technique to reanimate dead tissue. What will Victor create? Will the result be the beautiful creation that he dreams of? Carefully retold in clear contemporary language, and presented with stunning illustrations, these favourite horror classics will capture the hearts and imagination of young readers. 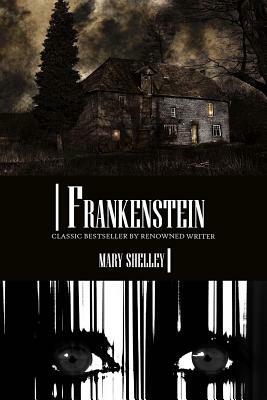 Mary Wollstonecraft Shelley (30 August 1797 - 1 February 1851) was an English romantic/gothic novelist and the author of "Frankenstein," or "The Modern Prometheus." She was married to the Romantic poet Percy Bysshe Shelley.Mary Shelley was born Mary Wollstonecraft Godwin in Somers Town, in London, in 1797. She was the second daughter of famed feminist, philosopher, educator, and writer Mary Wollstonecraft. Her father was the equally famous anarchist philosopher, novelist, journalist, and atheist dissenter William Godwin. Her mother died of puerperal fever ten days after Mary was born.Saviour Pirotta is the best-selling author of over 100 children's books. Born in Malta and now living in Yorkshire, Saviour has written stories, poems and plays since he was a boy, and has been writing full-time since 1986. He has won the English Association Award as well as Aesop Accolade in the US.Franco Rivolli is an extremely talented Italian artist whose personal style is a perfect blend of realistic and fantastical. His incredibly life-like characters are often set in dream-like or surreal scenes, and the atmosphere is perfectly captured through his use of colour. He is also able to turn his hand to more realistic subject matters, demonstrating his flexibility as an artist. Francos work is perfectly suited to young fiction, lavishly illustrated educational books, and cover art.